For the complete tour package that gives you everything your heart desires; Cusco, the capital of the Inca empire, Sacred Valley with all of its treasures to discovery and archeological sites, and the Short Inca Trail with Machu Picchu, and the New Rainbow Mountain Trek at the end of your journey, this adventure hiking package is the best choice possible. Cusco or Qosqo in quechua, was the capital of the Inca empire called Tawantinsuyo. The streets of the city are over flowing with our country’s history. One can observe the different stages of the evolution from ancient times until the Conquest and its consequences. There are endless archeological sites to visit, grand cathedrals everywhere, museums, and lots of shops to explore. Tucked under the tawny skirts of formidable foothills about 15kms/9.3 miles north of Cusco as the condor flies, via a narrow road and hairpin turns, the Sacred Valley holds its head high. The valley has long been the home of attractive colonial towns, isolated weaving villages, handicraft markets and lofty 10th and 11th century Inca Citadels of Pisac, Ollyantaytambo and Urubumba. The Inca Trail to Machu Picchu is a stunning cultural show of Inca ruins, exotic side by side mountains, primitive lush vegetation and extraordinary ecological varieties. The trail goes through the National Park and enters through the Sun Gate with unforgettable views of Machu Picchu, through cloud pitted forest and finally into subtropical vegetation. 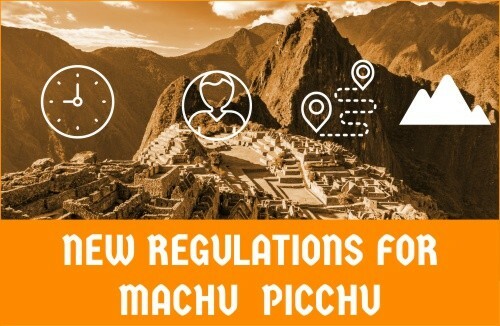 Upon arriving to Machu Picchu, you will get a private guided tour, visiting all the hidden corners of the Inca monument. Take your time exploring the magestic Machu Picchu, the Incan ruins rich in history of its past and the thriving culture of the people who once resided there. Enjoy the natural colours of the rarely visited Rainbow Mountain Trek, hiking through some isolated communities, in which you may interact with the local’s who are still keeping the culture alive! You’ll see snow capped peaks, herds of llamas, glaciers and turquoise lakes, all set within an incredibly colourful mountain range. The Rainbow Mountain trek offers a selection of wildlife including soaring condors, vicunas, bobcats and pumas. The colourful sandstone mountains in the Vinicunca area is probably the coolest thing you’ll see in Peru. Upon your arrival to the cosmopolitan capital Cusco you will be greeted by our representative and transferred to your hotel where you will receive a short briefing then given the morning to acclimatize. In the afternoon at 1pm, we will introduce you to the Imperial Cusco City. Cusco’s history lives in its streets, squares, valleys and towns. You’ll find stunning destinations and examples of fine engineering by Inca stonemasons and living examples of the mix of Andean and Spanish culture. Continuing our journey we visit the Santo Domingo Convent built over the Koricancha, as well as the ancient Inca Palace, the main worship center of the Sun God. Our discoveries continue at the unmatched and mesmirizing archaeological site of Sacsayhuaman and its military Inca architecture which dominates the city. Finally we are introduced to the contrasts of the indigenous ancients Qenqo, Pucapucara and Tambomachay sites, located in the north east of the city. We then head back to your hotel in Cusco by early evening. With timeless charm we visit the archeological site of Moray also known as “The Greenhouses of the Incas” an evolutionary bowl of ecological difference. Levels of terraces are carved into a huge bowl, which was excavated by the Incas. The terraces have varied microclimates depending on how deep into the bowl they are, and so they were thought to have been used by the Incas to discover the optimal growing conditions for their crops. Expanding on our journey to the colonial town of Maras, ascending our hike downhill to the pre-Inca salt mine. Thousands of salt pans have been used for salt extraction since before Inca times. A hot spring at the top of the valley discharges a small stream of heavily salt laden water, which is diverted into salt pans and evaporated to produce a salt that is used for human and animal consumption. Finally we drive to Ollantaytambo, to explore the age old and bustling Inca village and the massive Inca Ruins, with a tour provided by our guide. Here we spend the night at your hotel in Ollantaytambo, ready to start the Inca Trail the next day. With a compacted 2 days of excitement ahead we pick you up from your hotel by 5:30am, and drive you to the train station for the 6:05am train. A 1.5 hour free flowing train ride to 104 kms (2,100m/6,927ft) takes us to the beginning of our trek, where we cruise past the first checkpoint with ease. Afterwards we initiate a moderate climb for three hours to the chiselled remnants and remote archaeological site of Wiñayhuana. (2,650m/8747ft). As we view out with an open mind and heart, we embrace the spectacular plunging views of the Urubamba Canyon, the ethnic wonder of ancient Inca sites, and we make our connection into the traditional four day Inca Trail. After being at one with this beautiful sight, we continue onward towards the Sun Gate (2,730mts/9,007ft). Following the ancient remote footpath we grasp onto our first spectacular view of Machu Picchu in all its brilliance and majestic monumentality. As we move closer to the Citadel of Machu Picchu, you will feel her energetic vibrations of this spiritual capital. After time to take photos, we take our bus to Aguas Calientes, where we spend the night in our hotel. Meals: Breakfast hotel, Box Lunch & Dinner. Bursting with excitement on your final surreal day, we take the first bus to Machu Picchu archeological site, making sure we tour every nook and cranny of this New 7 Wonder of the World and UNESCO World Cultural Heritage Site. The Citadel of the Incas, Machu Picchu, what an unforgettable experience. Your guide will expertly direct you through the energetic ruins and its diverse main streets. Then on your own, you can wander around the town squares of the world’s spiritual center of esoteric wisdom, as well as climb the intricately carved stairways made of stone. Or you can stay still and find the peace within as you sit in the pure delight of the moment. Finally, climb Huayna Picchu to appreciate the beauty and magnificense of Machu Picchu and the valleys below. When you are ready, you will descend to Aguas Calientes, have a leisurely lunch on your own, and later on board the Expedition train at 4:22pm for the return trip to Cusco stopping at the Ollantaytambo Station, where you will catch our private van back to Cusco and your hotel. We will pick you up from your hotel at 4am, and begin with our amazing Rainbow Mountain Trek Adventure. We set out on our drive through the South Valley, ending up at the trailhead at Quesiuno (4,326 m / 14,189 ft) is 3 hours. Along the way there are amazing views of farming Inca terraces, valleys and rocky mountains. After a total hike of 4 – 5 hours, we finally reach our destination….the Rainbow Mountains (5,020m /16,466ft). After being awed by their beauty, you’ll have time to explore the area. You can take pictures or just soak up the environment. We will spend approximately 30 minutes at the top. At this point, we hike back down the way we came. The hike takes 2-3 hours. Our private van will be waiting for us when we return. We will embark on the 3 hour drive back to Cusco and drop you off at your Cusco hotel, arriving between 8.00 and 9.00pm. Expedition train from Ollantaytambo to Aguas Calientes and from Aguas Calientes to Ollantaytambo. Fourth nights hotel accommodation with private room, bathroom and breakfast included. Transfer from the airport to hotel: (Cusco Hotel only). ***Private service is available for $75 more per person. Walking Poles: US$7 for pair and whole trek. Of course! During the Sacred Valley Tour & Short Inca Trail Package your main luggage can be store at our office or at your hotel, both are for free. Please don´t pack anything you will need for your hike. *** If you cancel your Sacred Valley Tour & Short Inca Trail Package, the deposit is not refundable at all! 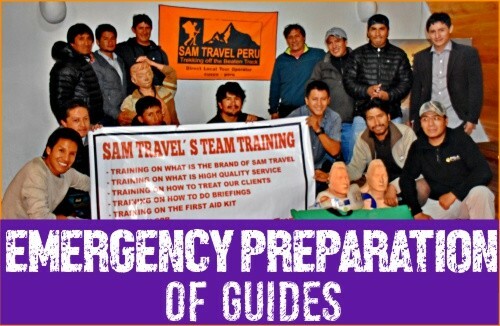 What you have to take with you for the Sacred Valley Tour & Short Inca Trail Package + Sacred Valley?